Okay, so you are starting to understand cryptocurrencies and their unique properties. You have decided that you want to include them in your portfolio but you are overflooded with options on what to buy, where to buy them, and where to store them. This chapter will be the most straightforward option so far. It will walk you step-by-step through making your first purchase, setting up your wallet, and storing your cryptocurrency. Start by visiting Coinbase.com. 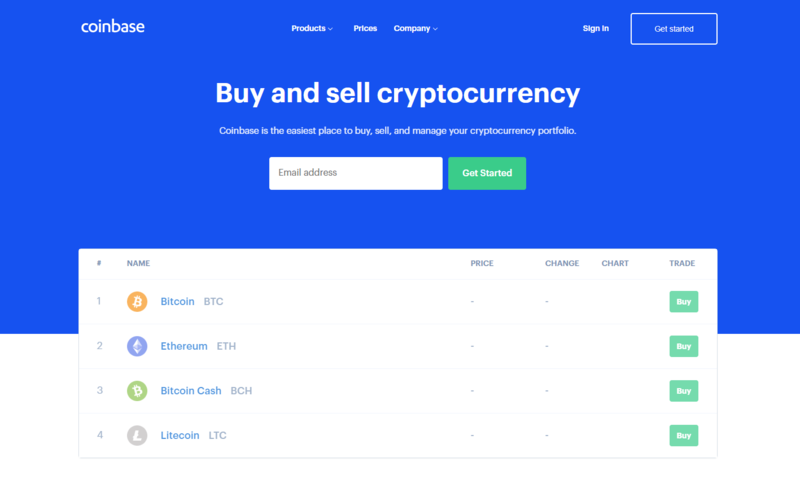 Coinbase is an online cryptocurrency exchange platform where you can buy and sell cryptocurrency with ease. If you would like to learn more about Coinbase you can check out our detailed Coinbase review. Although there are a lot of cryptocurrency exchange platforms, Coinbase is the first stop for many new to cryptocurrencies for a number of reasons. 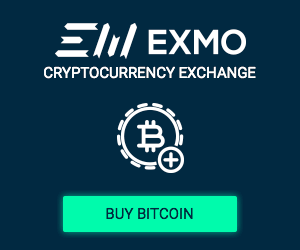 The exchange has been operating since 2012 and has built a trustworthy reputation among the cryptocurrency community. The company has been significantly funded in a number of seeding rounds and the company is normally on the frontier of investment innovations in the industry. Coinbase recently released their bundle buy option where users can buy a basket of cryptocurrencies. We have chosen Coinbase as it is one of the most well-known and if you can understand the basic procedure on Coinbase, it is not going to be much more difficult to consider other exchanges. Although not the best option for altcoins (alternative coins of Bitcoin), Coinbase is the most beginner friendly. There are many exchanges which can be complicated to navigate and can be especially tricky for those who want to make their first purchase. 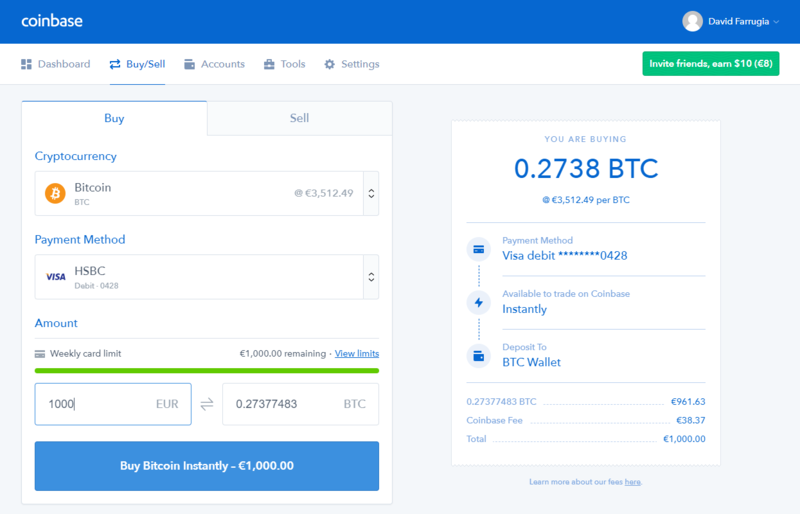 Coinbase has a straightforward design which allows users to easily set up an account and make their first purchase. Coinbase only supports a number of cryptocurrency assets currently. The company has a strong emphasis on compliance and does not want to expose itself to any unnecessary risks from questionable altcoins down the line. For that reason, they apply a strict procedure for the assets that they list. At the time of writing, Coinbase supports Bitcoin, Ethereum, Bitcoin Cash, Litecoin, Ethereum Classic, and 0x Project. Let’s walk through how you can make your first cryptocurrency purchase via Coinbase. Arriving at the homepage, you will be presented with the following screen. You can log in via the top right corner or sign up for an account if you do not already have one. You can set up an account with your email address as seen below. With Coinbase’s strong emphasis on compliance, they request that you verify your account. If you want to remain anonymous in cryptocurrencies, there are more advanced ways of purchasing your cryptocurrencies while keeping your anonymity. But Coinbase is not a way to do this. 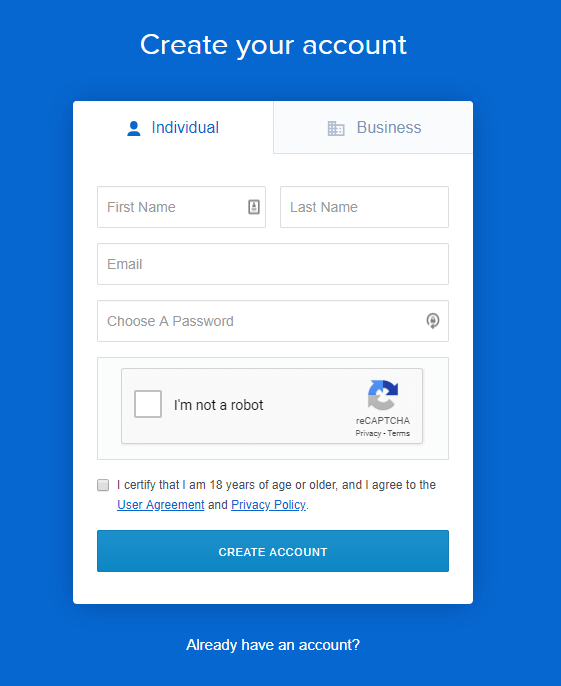 Because Coinbase complies with United States regulation, they will collect information such as your date of birth, occupation, and address. You will also be asked to verify your identity by passport, driver’s license, or photo identification. Once your identity is verified, you have added a payment method so that you can purchase cryptocurrency with your fiat currency. The payment method options are either bank transfer or prepaid card. Bank transfer will take a number of days. Prepaid cards can be used immediately but users will pay significant fees for this option. 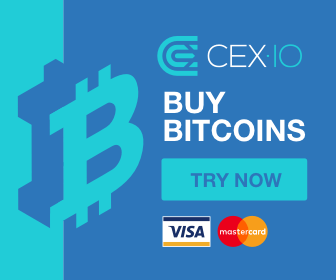 Once a payment method is added, it is just a matter of navigating to the buy/sell tab on Coinbase and specifying the amount that you wish to buy. Before going ahead and purchasing, consider some alternative fiat to cryptocurrency exchanges as well. If you can navigate through Coinbase, others competitors will have similar procedures. We have suggested some recommendations to check out in the reader exercises. Once the purchase is made, the cryptocurrencies will be stored in a wallet provided by Coinbase. Wallets provided by exchanges are poor security due to a number of factors we will delve deeper into later. For this reason, the next section will focus on how to transfer your purchased cryptocurrencies out of Coinbase into a wallet that you are in complete control of. One of the most attractive features of Coinbase is the ability to purchase cryptocurrencies directly with a prepaid card. There are significant fees to use this option but not many exchanges offer it. This enables users to purchase cryptocurrencies in a wide variety of local currencies around the world if they are willing to pay the fees. If you choose bank transfer, it will take a number of days to deposit. The prepaid card option also allows users to purchase cryptocurrencies very quickly if they need to. The fees vary based on the region and circumstances. Generally, there will be a 1.49% fee on both buying and selling for accounts which are funded via bank transfer. An immediate buy via prepaid card incurs a fee of 3.99% which makes it an expensive option. With Coinbase being the most well-known exchange and the name being synonymous with cryptocurrency, the charging of these high fees does not affect its position as market leader. There are a number of options you can choose from when making your initial investment into cryptocurrency. Although Coinbase is the most popular and widely used, it also charges some of the highest fees. Different exchanges are going to vary in terms of their fee schedules, procedures, and the amount of information they collect. But the general steps are going to be similar in terms of setting up an account and making the purchase. Some popular alternatives where you can exchange fiat for cryptocurrency include Bitstamp, Kraken, and Bittrex. One of the additional benefits to using Coinbase is that when you are ready to advance your trading and get more involved in the markets, you can start using Coinbase Pro. Coinbase Pro involves some additional levels of verification for your identity. 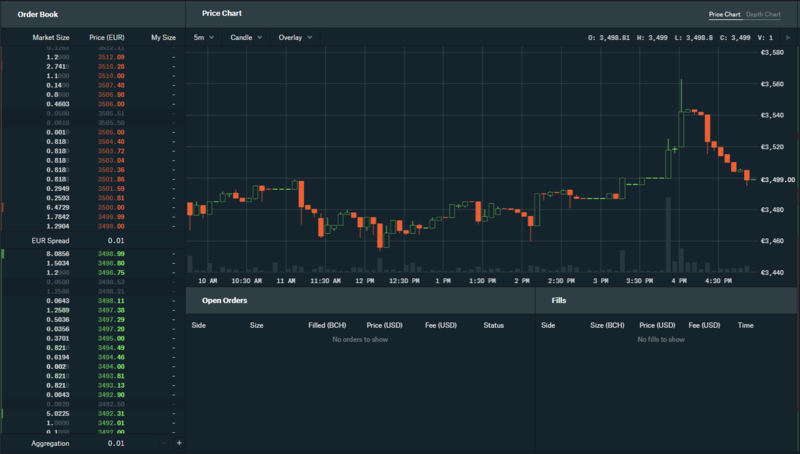 But users can avail of more advanced trading tools including an order book which will be covered in the next chapter, price charts which will be covered in chapter five, among other tools. Traders of Coinbase Pro also avail of minuscule fees. The below suite shows the tools traders can avail of on Coinbase Pro. Once you have made your first purchase, you definitely want to transfer your cryptocurrency into your own wallet. Many don’t do this and leave their coins on exchanges but this exposes you to all kinds of risks. While some exchanges will be generally secure, leaving your coins on the exchange means that you will lose your funds if anything ever happens to this exchange. You also are not in control of your cryptocurrency. The exchange could essentially be conducting fractional reserve banking with your funds and using them to make investments outside of the exchange. You never know what can happen in the future. And by leaving your funds on an exchange, you open yourself up to the possibility of losing all of the funds. The decision always rests with the user but we will cover a wallet setup here so you know how to secure your funds. There are many different wallets you can choose from and many different types. There are hardware wallets, web-based wallets, paper wallets, mobile wallets, and desktop wallets. We are going to go over the benefits and drawbacks of each of these in the next chapter but for this walkthrough, we will choose a desktop wallet. The wallet we have chosen for this walkthrough is Exodus. We have chosen Exodus because it supports a wide number of cryptocurrencies so it should suit your needs going forward. More importantly, it also puts you in control of your own private key. To get started with the wallet you firstly want to download the wallet for your operating system. You can find the download links on exodus.io. Once downloaded, follow the setup instructions carefully. The most important point to note when setting up a wallet is to secure your private key and recovery seed when they are revealed to you. Some wallets will store the private seed on your device so you will not need to make sure to secure it. But the recovery seed is always important to secure. If a device is broken, lost, or stolen and it has your private key stored on it, you will need the recovery seed to recover the wallet on another device. It is extremely important that the recovery seed is kept secure because if it is revealed to another person, they will be able to recover your wallet and access your funds from another device. One of the safest ways to secure sensitive information is offline. This is known as cold storage. Some ways this can be done is by storing it on a USB stick which is kept offline or writing on some paper which is safely stored. It is important when storing something where there is the possibility that someone could access to apply some encryption. This could be a code you use where you exchange letters for other letters. This means that if somebody was to access the paper, they would see a bunch of random letters. Another security technique which can be applied is splitting the recovery seed in two and securing in two separate places. 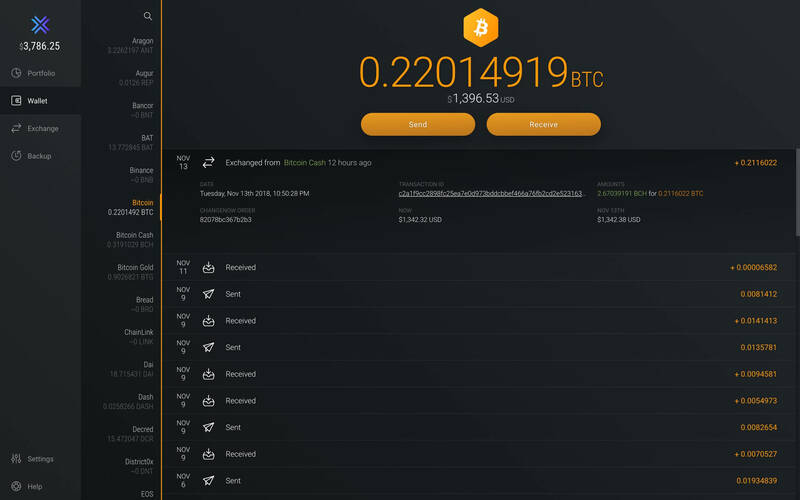 Once the wallet is set up, it is a matter of transferring your cryptocurrency from your Coinbase wallet to your Exodus wallet. To find your Exodus address, you navigate to the wallet tab of Exodus and find the cryptocurrency that you wish to send. Clicking on the receive button will bring up the wallet details. Either the alphanumeric address can be typed in when sending or the QR code can also be scanned if sending from a mobile application. An address will appear like the one below. There are a number of functions which Exodus has at the bottom of the address such as copying the address, emailing it, and printing it. 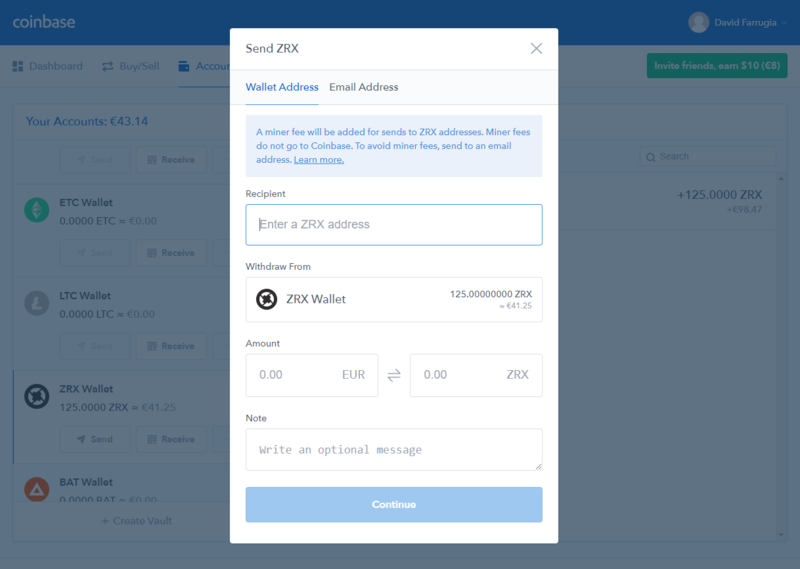 There is also the option to view your address on the blockchain. This will link to the blockchain explorer blockchain.com where the details of the address are presented. It is important to bear in mind that the blockchain is a public ledger and can be viewed by anyone. This means that if anyone links your cryptocurrency addresses to your identity, they will be able to assess your financial situation. Individuals who hold a significant amount of cryptocurrencies take their privacy very seriously. There have been countless personal attacks due to a person’s identity being linked to their cryptocurrency wealth. One technique which individuals use to protect their identity is to generate a new address every time they are receiving funds. This is a function of hierarchical deterministic (HD) wallets. You do not have to worry about what HD wallets specifically are but you should know that they can generate new addresses for receiving funds. You can check whether a wallet is HD by searching for it on cryptocompare.com. Exodus is an HD wallet. This means users can easily click on the arrow beside the address to generate a new address. 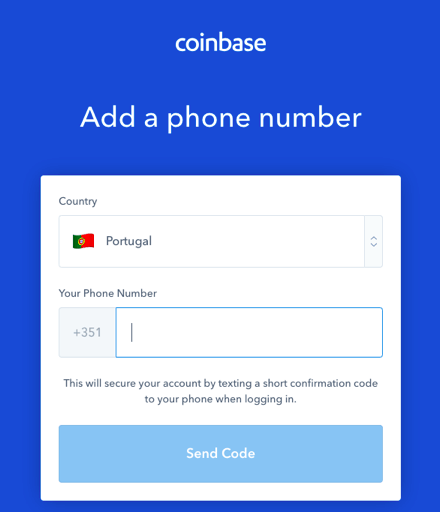 From Coinbase, it is very straightforward to send the transaction. You just need to navigate to the send/request tab and enter the amount that you wish to send. On many exchanges, there will be a list of cryptocurrencies the exchange support and deposit and withdrawal functions listed alongside the assets. Once transactions are completed, you should have a ledger recording the transactions like the one seen below. 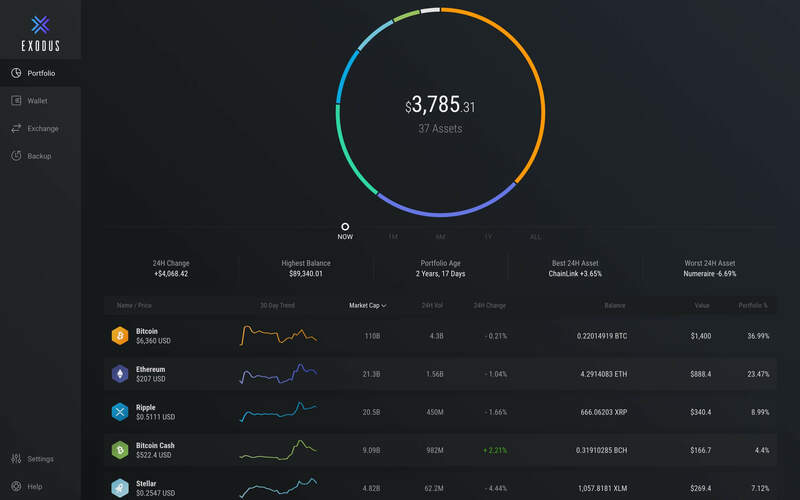 One of the other useful features Exodus has is the ability to visualize your cryptocurrency portfolio and its value and distribution at one glance. Clicking into portfolio on the left-hand list will bring up a pie chart for your portfolio. One final unique feature is the ability to exchange between your cryptocurrencies. Typically on exchanges where you can exchange cryptocurrencies, Bitcoin will act as the base currency for the exchange. For example, if I wanted Zcash and wanted to exchange my Litecoin for an equivalent amount, I would convert my Litecoin into Bitcoin and use the Bitcoin to purchase Zcash. The problem with this scenario is that fees are paid on both trades and this can quickly add up. Using the exchange function in Exodus is very straightforward. Users choose the cryptocurrencies that they want to exchange and the cryptocurrency they want to receive. An exchange rate is presented and users choose the amount. We have noted the exchange integration in the Exodus wallet. But the most typical way that traders exchange between different cryptocurrencies is by using a centralized exchange. The most popular crypto-to-crypto currency exchange is Binance. A lot of these exchanges do not deal in fiat currency, including Binance. But as an alternative, they have stablecoins which are cryptocurrencies that are pegged to a fiat currency. The most well-known is USD Tether pegged to the USD. These stablecoins are used on exchanges so that traders can speculate on the price of cryptocurrencies in relation to their fiat value without actually having to use a fiat to cryptocurrency exchange. There is a wide variety of crypto-to-crypto exchanges to choose from. Before venturing into exchanges, it is advisable to gauge previous user experiences on the exchange. There are many exchanges that have poor operations and depositing to them represents the risk that you will not be able to withdraw your funds. It is also recommended to look at fee schedules as some have complicated fees that are set up to charge unreasonable amounts to users. Websites and platforms such as cryptocompare.com, Reddit, and BitcoinTalk can be used to gauge previous user experiences. Not all reports can be trustworthy but they will serve to give a general picture of the exchange. The years in operation, volume traded, and community behind the exchange can also help factor in whether an exchange can be trustworthy. Now you have the tools to both make your first purchase in cryptocurrency and to secure in a wallet where you are in control of your own private keys. By doing this, you are going to be more secure than all investors that leave their funds on exchanges. But there are more things to be aware of and further steps that you can take to step up your security. If you have a number of different exchanges, a number of different wallets, and a number of different cryptocurrencies, it can be easy to get mixed up. When sending and receiving cryptocurrencies, you always want to double check addresses. The last thing you want to do is send cryptocurrency to the wrong address or send it to the wrong asset. Sometimes an exchange will make some key changes to its service. This can include a wide variety of things. One common change to services is the listing or delisting of different assets. If you own a cryptocurrency and the exchange makes the decision to delist this cryptocurrency, you will typically have a certain period of time to sell this cryptocurrency before the asset is delisted. Ensure to link up with the exchange for notifications through email and follow the social media page to keep up to date with any key changes such as delistings. Most exchanges will have the option for users to enable two-factor authentication (2FA). 2FA acts as an extra password that changes regularly, around every 30 seconds. It is most commonly used through the Google Authenticator application on mobiles. By going into the security setting on exchanges, you can see whether you can add 2FA to your account. Adding it is a simple process. The applications scans a QR code presented on the website and the 2FA code is generated. It is important that when generating the code to take note of the recovery key provided. In the event that you lose your phone, you will not be able to access your accounts unless you can recover your codes on another device. This is similar to a recovery seed to your wallet except it acts to recover the code. When you set up exchange accounts, it is recommended that you bookmark the site or access the site through the link provided on one of their official social media accounts. Phishing scams impersonate real websites. They are likely to have a similar URL to the official site but if you type in your details, a hacker will be able to access your funds. This is more of a general security note that one specifically for cryptocurrencies. It represents a significant risk to your funds f you have one common password across all platforms. It is recommended to have a different password for each account. Having different passwords for different accounts meaning having to store them. If you choose to store them on the cloud, make sure to use a code to encrypt them so that anyone that may access them would not be able to make sense of them. There is also a password manager on the hardware wallet device Trezor which applies a high level of encryption. An additional feature of the password manager is the ability to generate a strong password. We will talk further about hardware wallets in the next chapter. We have covered a walkthrough of purchasing on Coinbase in this chapter. But Coinbase charges some of the highest fees and other options are available. These exercises will get you looking at other exchanges and considering which is the best for you. If you feel ready, make your first purchase of $100 on cryptocurrency. If you use this Coinbase link and you will earn an extra $10 and we will also earn $10. Once you’re ready, proceed to chapter 4.